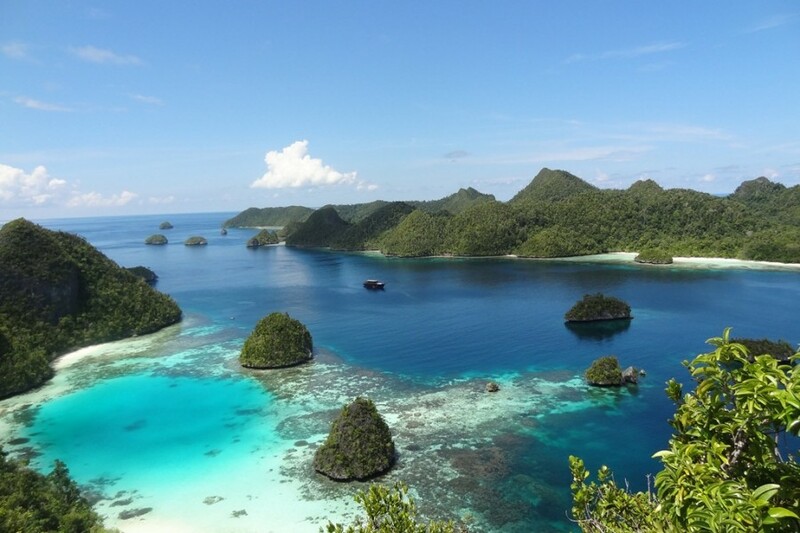 After another blockbuster season along the 8th Parallel (Bali to Komodo mainly), Asia Pacific Superyachts Indonesia is gearing up for the second act: Raja Ampat season! "Due to the sheer size of Indonesia and the fact that it stays within a few degrees of the equator both north and south there really isn't any off season here," reports GM Richard Lofthouse. "We have been really busy the last 6 months from our base in Bali with boats filling up our dock space down here. Now we are gearing up for the northern season with our team heading up to Sorong in Papua and Bitung in Sulawesi for lots of new arrivals. My team love it - they get bored if we have a week without boats!" APS Service Manager Fitri is originally from Sorong and despite being only 22 is well known by many captains and crew having been the go-to girl for Raja Ampat for years now. "Don't let her big smile and easy going personality fool you," says Lofthouse, "Fitri is a hell of a tough operator. She gets things done that others can't do. Sorong has never been the easiest place to get things done but she makes it happen and our clients love her." Sorong is the gateway to the wonders of Raja Ampat. It remains a frontier town with infrastructure to match. But a stop off to clear in and pick up guests can be brief and then it is off to explore. Fitri arranges all national park permits and gets them onboard so that APS yachts don't have to pick them up themselves. During the peak season she remains based in Sorong so that there is always an APS team member on the ground there. On board most yachts take the option of having one of the APS all-star guide team. From Ricardo Buxo (author of Underwater Paradise, the definitive dive guide to Raja Ampat) to others like Bob Brunskil, Didier Romero and Matt Malerba who have years of superyacht guiding experience under their belts, they quickly become part of the yacht team and a valuable coordinator when exploring the final frontier. A new addition to the team has been Ali Murtaldo. After a year in which he guided on yachts from 30 to 140m Ali has grown fast into hot property. "Our biggest problem is captains trying to steal Ali and hire him as full time crew," jokes the GM. "He is the happiest, nicest guy I have ever met and it is contagious. He makes everybody smile. On top of that he has a huge workrate and a deep knowledge of vast areas of Indonesia which is really special. When I recently asked for a map of some dive sites, he sent me detailed drawings. That is the level of knowledge Ali has and we are proud to have him in our team." So whatever month you come to cruise Indonesia - and remember any month is good - APS Indonesia have got you covered!